Bright and spacious SE&W exposure corner suite available at Stratford Place. This suites features brand new engineered distressed oak hardwood flooring, fully renovated kitchen w/integrated dishwasher w/stainless steel interior and built in microwave fan. This "01" 1 bedroom and open den unit has a great OCEAN VIEW on one side & a beautiful treed garden view off the other. Recent building updates include: New plumbing, new elevators, 5 yr new roof & garage resurfacing. Enjoy this buildings beautiful grounds & gardens, with an outdoor pool & sauna. 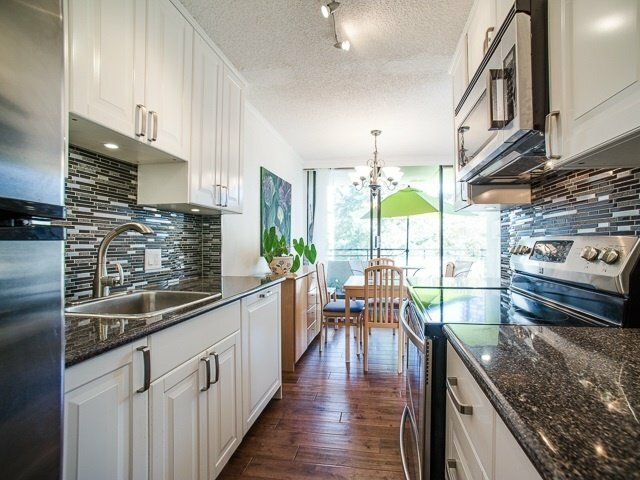 Amazing location within 2 blocks of English bay and the seawall, all the amenities of Davie and Denman, steps from cafes, shops, restaurants, really the best of the West End!